Something that tends to happen to us Canadian beauty junkies is that something will become the height of excitement and obsession in the beauty community, where literally everyone seems to be talking about it, and it's not easily available here in Canada. Because shipping here internationally tends to be quite expensive, I find that I'm rarely willing to order products online from outside the country so I tend to just try to convince myself that I don't want the thing that everyone is going crazy for... Anyone else do this? 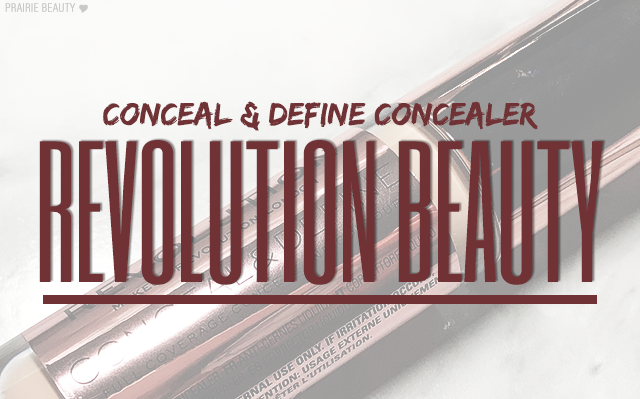 Anyway, the Revolution Beauty Conceal & Define Concealer definitely felt like one of those such products, with everyone talking about it everywhere I looked and even hailing it as a dupe for the Tarte Shape Tape Concealer (not easily available in Canada either), so when I saw it on the shelf at my local London Drugs, I snatched it up immediately and got to testing it out to see if it was as good as everyone claimed. 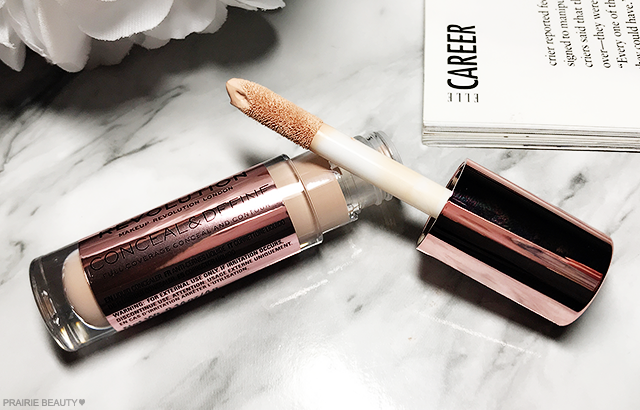 Because I haven't really been loving really highlighting under my eyes lately and I've heard that this is a concealer that seems to have more coverage if it isn't too light for you, I chose shade C4, which is described as being for Light Skin Tones With Pink Undertones. I feel like there's a really solid shade range in this collection. 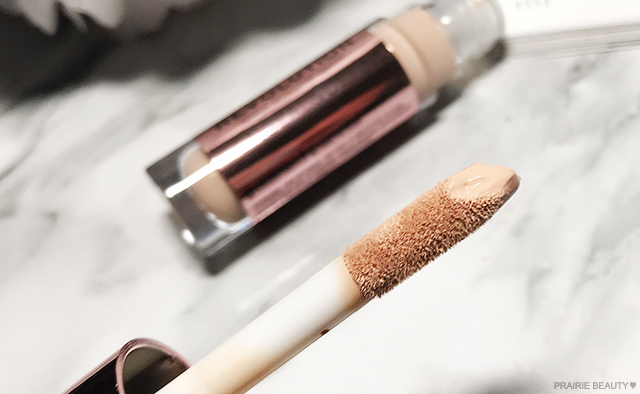 Finding a light enough concealer for very fair skin, particularly an affordable one, can be a struggle so I love that I'm the fourth lightest shade rather than the lightest. Because it is an issue that I both know is important and also recognize is not something I have any experience with, I looked into how women of colour are feeling about this shade range and generally I've noticed really positive feelings there as well. As you can see, this concealer has that very large doe foot applicator with a small well at the tip that holds a decent amount of product. I feel like people either love or hate the small wand, but personally I've always really liked this type of wand for complexion products, and that is true for this product as well. One entirely superficial thing that I love about this concealer is definitely the look of the packaging. The rose gold metallic lid and label just give it a really nice look. 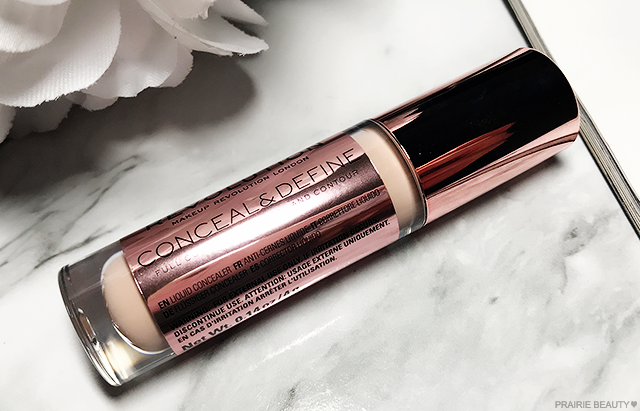 One thing that I have to say I don't love is the fact that this only contains 0.14oz of product - which is quite a bit less than a lot of other concealers on the market. I looked into it and around 0.23oz seems to be pretty standard. To apply this concealer, I like to apply about 4 dots of product underneath each eye and then blend out with a sponge. I've found that it blends quite easily for me and I don't end up with any patchiness or heavy spots without having to do much work. Once it's blended, this has a bit of a dewy look on the skin and retains a good amount of hydration, which is great for those of us who are starting the experience dryness and fine lines underneath the eyes because it doesn't settle and look cakey. 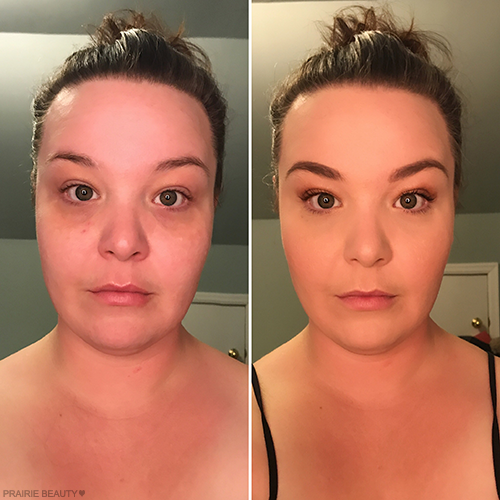 Even once I've applied powder (a lightweight, luminous, translucent powder is my personal preference for setting my undereyes) I find that it maintains a smooth, hydrated look on the skin. I feel like a lot of people were singing a song of coverage when talking about this and I have to say that I don't entirely agree. 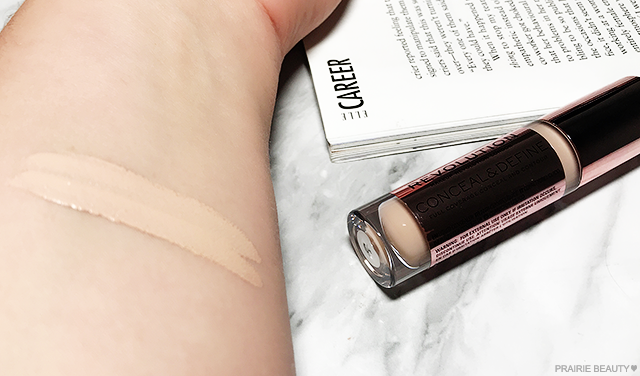 Don't get me wrong, I think this concealer has really good coverage and I feel like it does a good job of perking up my undereye area, but I don't feel like the coverage is as full as I was expecting. Personally, I'd say that this is a medium to full coverage rather than a straight up full coverage. As you can see below, it does a good job of covering the darkness and uneven skin tone under my eyes, but I wouldn't say that it gives me the completely airbrushed look that something like the IT Cosmetics Bye Bye Undereye does for me. Overall, I'm not complaining and I think this is plenty of coverage for every day wear, but it isn't the super full coverage that I was expecting based on what I heard. Once place that this does completely blow my mind is with wear. I struggle a lot with finding a concealer that doesn't crease or get cakey throughout the day on me - recently I was testing out another concealer that I'd heard great things about it and I think it put about 10 years onto the look of my skin throughout a day of wear - and this wears absolutely brilliantly on me. I do find that later in the day my fine lights might be a little bit more noticeable than when I first apply this, but overall the area still has good coverage and looks hydrated and healthy. 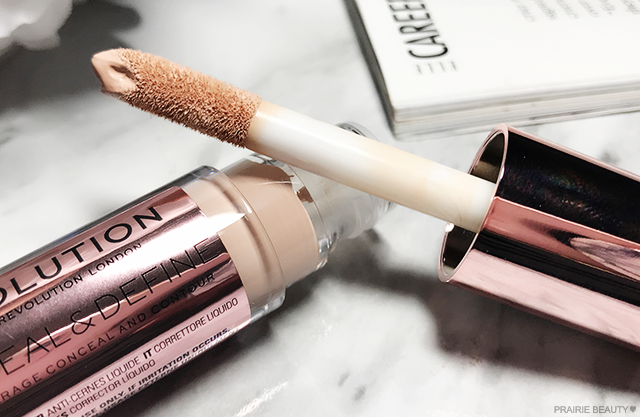 As far as wear time and appearance throughout the day, I think this might be my new favorite concealer. Something that tends to happen with really hyped up products is that they can rarely live up to the hype, but I actually think that for the most part this one really stood up to what I was expecting. It definitely isn't the most full coverage concealer in my collection, but it has a good amount of coverage. More importantly though is how it looks under my eyes and wears throughout the day and personally I think it absolutely knocks it out of the park for me. I don't have the creasing or cakiness that I've been finding with other concealers and even looking at my undereyes after a long day, I still feel really good about my makeup when I use this concealer. 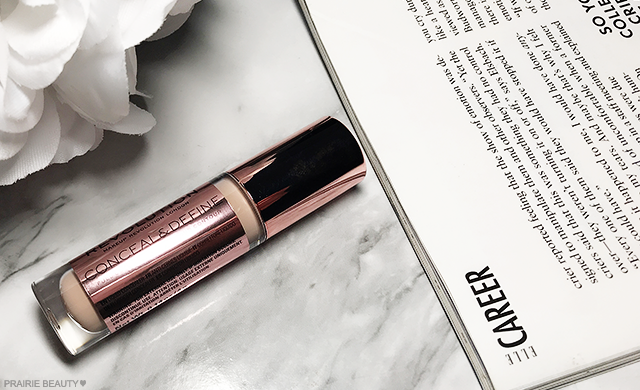 Like I said, I found this concealer locally on the shelf at London Drugs, retailing for C$9.99, and it's also available online at Revolution Beauty for US$7.00. And just in case you skipped to the end just to get the verdict - I LOVE THIS CONCEALER AND WOULD RECOMMEND IT.